While pretty much every other Portland area photographer has taken photos of the gorgeous cherry blossom trees that line Tom McCall Waterfront Park between the Burnside and Steel Bridges, I had not ... until now. It was a gorgeous afternoon on Monday and I arrived just in time to catch the golden hour light hitting the blooms. Nice photo! 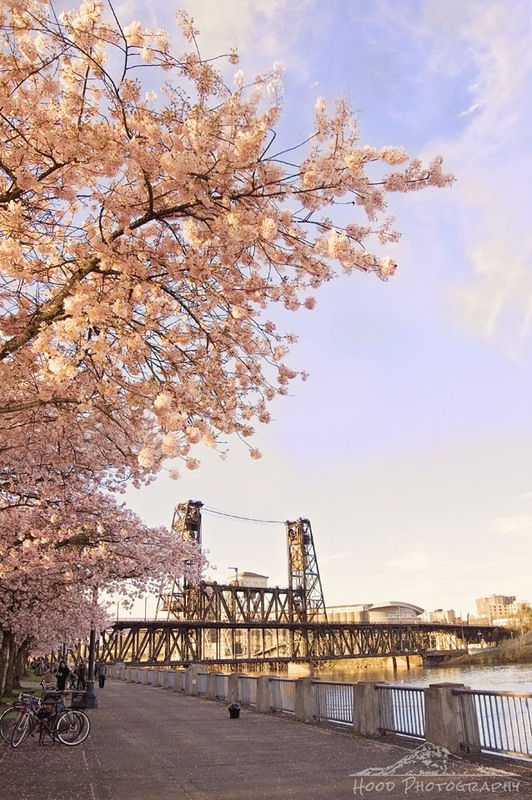 Waterfront park is so lovely when the cherry blossoms bloom. Sadly I missed out this year. And I work downtown, so I have no excuse! Beautiful blooms and I like the bridge in the background! Fantastic motive - and the right light!